Abington Friends Meeting Cemetery. Montgomery County, Pennsylvania. In 1697 a fellow by the name of John Barnes donated 120 acres for the purpose of building a meetinghouse and a school. Back then, such a gift had a market value of around 10 cents an acre, according to the Abington Friends Meeting website. Today, the Abington Friends Meeting is still active and they have a fairly large school. 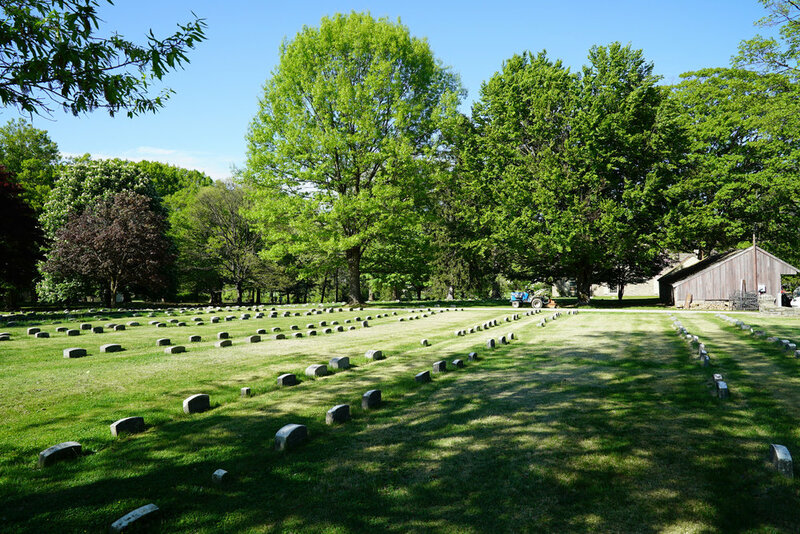 The burial grounds are also fairly large for a Quaker burial site. I was impressed with the natural beauty of this facility.